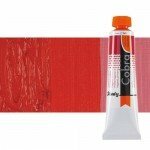 Water Mixable Oil Colors Cobra Study, 40 colors with the greatest degree of resistance to light (+++) and resist 100 in museum conditions. Tubes in 40 and 200 ml. a water miscible oil to clean, odorless and extraordinary results.